I just wanted to pass on my sincere thanks for the benefits the carpel tunnel surgery on 1 December has brought me – recovery has been excellent and I can honestly say the time since has been pain-free (other than the moments I actually forgot my injury and shook hands). 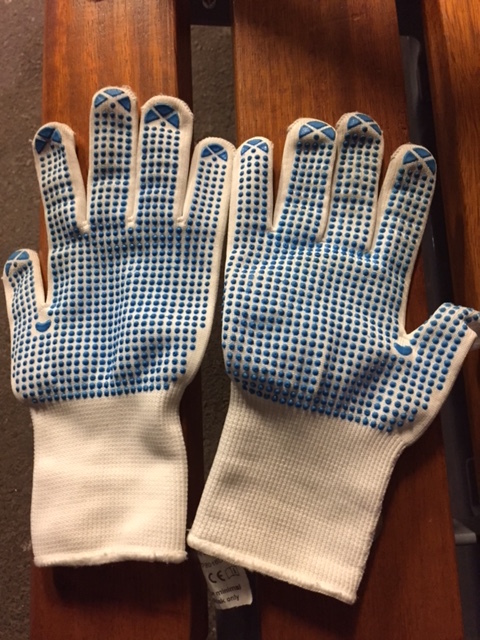 I was able to drive four days later – helped by the simple £1 cotton scaffolding gloves bought for me from B&Q by my husband – worth perhaps letting your other patients know about those as they aid grip easily. I attach a photo. Thank you again for your truly excellent work and really motivating manner – all much appreciated.